Julie Fairman, the Nightingale Professor in Honor of Nursing Veterans and chair of the department of biobehavioral health sciences at the University of Pennsylvania School of Nursing, is the first nurse to be selected to give the Garrison Lecture before the annual convention of the American Association for the History of Medicine. The 91st convention is being held at the University of California, Los Angeles. 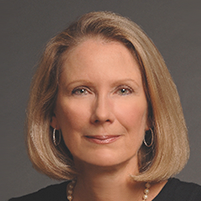 Dr. Fairman began teaching at the University of Pennsylvania School of Nursing as a lecturer in 1991. She was named an assistant professor in 1995, an associate professor in 2001, and a full professor in 2009. Professor Fairman is a graduate of Albright College in Reading, Pennsylvania. She holds a master’s degree and a Ph.D. in nursing from the University of Pennsylvania.